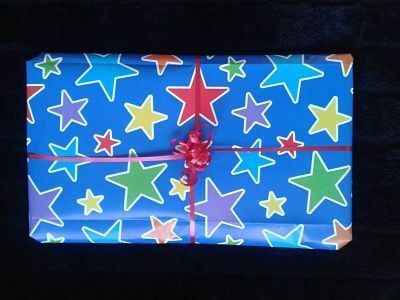 This age old party game never dies but some parents just don't have the time to sit down and wrap a present over and over again so we can take the hard work out of it for you and provide you with a ready made parcel. All you need do is provide the kids to enjoy it! All parcels vary but can include some very well known children's characters such as Peppa Pig, Fireman Sam, Bob The Builder, Disney Princess etc. etc. You can even choose if you would like a boy, girl, unisex or pre-school theme. Each parcel will be wrapped with quality paper on the outside and quality paper on the last layer so you will know when the game is coming to an end. Each layer in between will be wrapped with coloured tissue paper and will reveal a small party bag toy such as stationery items, stickers, tattoos, stretchy animals, puzzles and much much more. Please note that additional layers can be ordered for any parcel at the cost of 50p for each layer. Due to small prizes these are not suitable for children under 3 years of age.